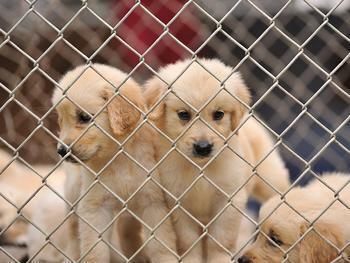 A federal appeals court has upheld New York City laws intended to curb puppy mills. The ruling comes just a few days after San Francisco adopted legislation banning the commercial sale of dogs and cats. In the New York case, a three-judge panel from the Second U.S. Circuit Court of Appeals turned aside a challenge to the 2015 laws, one of which requires that pet shops can sell only dogs and cats from Class-A-licensed breeders who have not had their licenses suspended in the last five years, Courthouse News Service reported. The other requires that the animals are spayed or neutered before customers can buy them. In their ruling, the judges found that the legislation has had no ill effects. Pet store owners and the American Kennel Club had claimed that the laws are discriminatory because they do not hold rescue operations to the same standards. Pet store owners, veterinarians, and breeders, organized under the name New York Pet Welfare Association, had claimed that the laws were pre-empted by the federal 1996 Animal Welfare Act and violated the constitutional rights of breeders. They also argued that the regulations were unsafe, claiming that young animals could develop fatal infections if spayed or neutered at 8 months old.